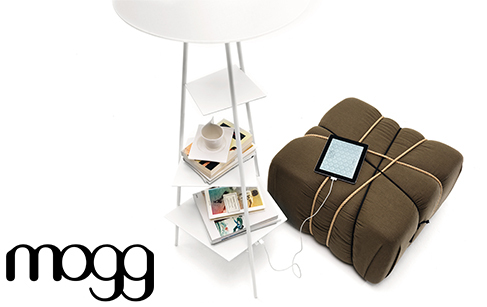 MOGG is a new furniture company, which opened its doors at the Salone del Mobile in Milan 2012. Pieces are cut opposed to curved lines, warm materials are combined with cooler materials to give versatility. Intense shades and soft shapes are used to make an iconic mark that’s distinctive. The designs are stylish but appealing to all. A minimalist design, but not too much, basic and without frills. The naturalness is the hallmark of Mogg when everything is studied in detail.